This post is a contribution from our friends at IngeniusPrep. The road to medical school is a long one. 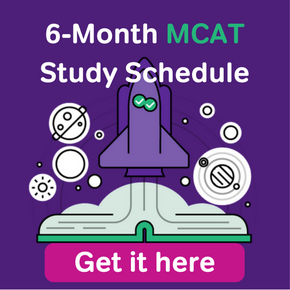 You need to chug through difficult pre-requisite classes, cram for the MCAT, pursue various research opportunities, and that’s just the beginning. The medical school admissions process is notorious for being rigorous and demanding! And yet, thousands of students embark on this path. Many applicants dream of attending a specific medical school that motivates them throughout the process. As you all know, the medical school acceptance rates continue to shrink year by year, with less than 50% of medical school applicants getting into any medical school. While it’s important to be realistic, it’s natural (and often inevitable) to have a dream school in mind – one that you’d put above all else, one that might be a bit of a reach for you to attain. It’s difficult enough to get into any medical school, but what does it take to get into your dream medical school? Here are tips to help you take your profile and application to the next level. There is no doubt about it – your GPA and MCAT score are incredibly important to demonstrate your academic qualifications for medical school. Having numbers within range of the average GPA and MCAT of a school will certainly help you get your foot in the door. That being said, they can’t take you over the finish line. 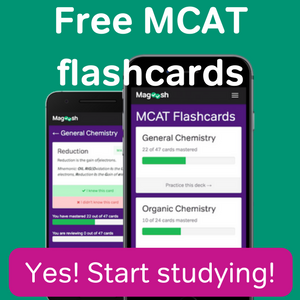 I know that blood, sweat, and tears go into maintaining your GPA and getting a strong MCAT score! But it’s important to keep in mind the way medical school applications are read. For many top medical schools, your application will go through a pre-screening process. 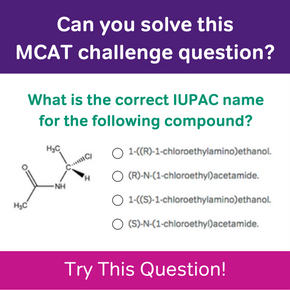 During this phrase, they scrutinize your MCAT score and transcript to ensure that your numbers reach a certain threshold (this threshold typically lies around a school’s average MCAT score and GPA) and that you’ve completed the mandatory prerequisite courses. After they verify that you can handle the rigor of medical school and have checked the necessary boxes, your numbers often don’t play much of a role in the rest of the process. In fact, medical school admissions readers usually don’t even have access to them after this screening. From that point on, it is all about your experiences and the story you put together within your application. Your numbers demonstrate your capability, but they can’t make you stand out. Once you’ve reached the threshold numbers of your dream school, your time will be better spent expanding your impact in extracurriculars and experiences. While you’re attempting to juggle it all, it can be easy to fall into a “check the box” mindset with your extracurriculars for med school. A “check the box” candidate might do the following: be president of their fraternity, work at their local food bank weekly, volunteer at a nearby clinic, and mentor a student through Big Brothers Big Sisters. While this applicant sounds like a wonderful person, their generic, disjointed activities won’t help them stand out. Resist the temptation to desperately join any activity that could fill your AMCAS experiences section! Often, what differentiates top applicants is their passion. Reflect on what you care about; think about creative ways to intersect this with medicine and have this drive how you spend your time before medical school. Focusing your interests might look like this: Say you were raised by a single mom and are passionate about women’s rights. You majored in Women’s and Gender Studies in college, and then decided to work at a women’s health clinic and shadow an OBGYN. You also developed a pro-queer advocacy group and led rallies to push for better healthcare for underrepresented minorities. Pursue what you care about in deep, meaningful ways to get accepted to your dream school. Passive, passionless efforts will ring hollow to admissions committee members. For many aspiring medical students, their goal of practicing medicine extends back into childhood! Don’t allow years of envisioning yourself as a doctor to cloud your strategy. With all of the stressful build up before medical school applications are due, it is common for med school applicants to feel the need to cover all of their bases for their dream school. There’s also the hope that by enumerating every single passion, interest, and formative experience, something will jump out to catch an AdCom member’s eye. But unpacking all of the details of your journey is not strategic. Remember the following three components of a successful application: you, your passion for medicine, and your qualifications as a future physician. Focusing on these factors will help get at the core of who you are and why you want to go to medical school. In your medical school personal statement, focus on 1-2 stories and dissect them to capture these essential components. Outline your AMCAS activities and experiences to ensure that all of your descriptions remain focused. Don’t deviate from your main purpose – create a strong narrative that supports and captures your medical school ambitions. The reality is, it’s harder than ever to get into your dream medical school. But these strategies can help set you up for success! Start conceptualizing your medical school application today.